“A very special find, a Rare Rutherglen Muscat unearthed by Colin Campbell for the Room to Read Wine Gala in Sydney on 11 March 2016. 21.5 Baume, 3.5pH, 8.9g/l TA. O.67VA. This sample was sent halfway round the world. Colin points out that 1986 was a stellar vintage. Dark brown elixir. Treacle, walnuts and a hint of rancio – and real excitement and energy – on the nose. Fantastic balance. No excess of acid nor of wood. The fruit is not tired. Nothing syrupy or pruney – just sheer power and sweetness and fabulous vitality. 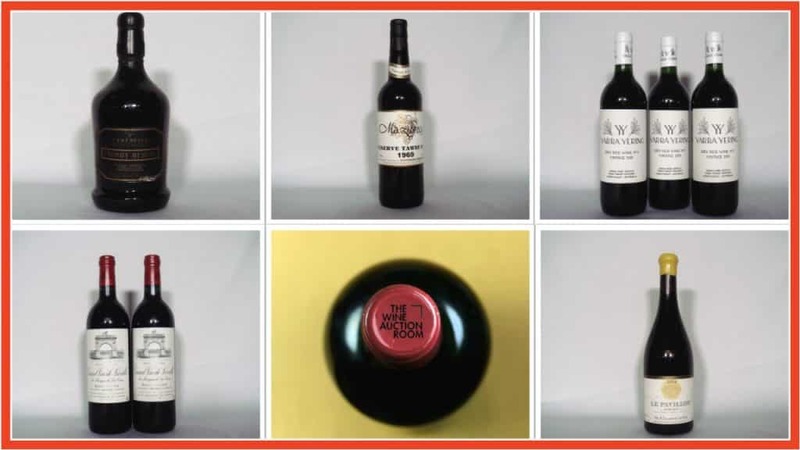 If this doesn’t double bids in the auction nothing will” Jancis Robinson 3.2.16. While that is an obvious highlight there are many more in this auction. If you are looking for that 50thbirthday present for someone next year look no further that the Mazurans 1969 Reserve Tawny. Mazurans are a true New Zealand icon for this style of wine and a vintage like this is a rare commodity these days. The fortified/distilled section also has a Grahams 1977 as well as Armagnacs from 1903, 1930 and 1942. The New Zealand section brings with it many desirable wines from the likes of Dry River, Destiny Bay, Te Mata, Fromm, Felton Road, Church Road Tom, Esk Valley Terraces, The Antipodean and Amisfield’s RKV Pinot Noir. Enough to whet anyone’s appetite. Another wine to look out for is the Clonal Bros Amen Break Pinot Noir. This was made by Matt Harrop of Shadow Fax fame for the Australian market only where it has a RRP of $35Aust. We have great quantities of this wine with a reserve in the low $20s. Australia has its usual suspects with Henschke Hill of Grace, Mt Edelstone and Keyneton Estate while Penfolds offers Grange 1996, St Henri, Bin 407 and the Cellar Reserve Cabernet Sauvignon that is only available from their Cellar Door. A brand we don’t see often (and a favourite of mine) is Yarra Yering where we have both their Dry Red No. 1 and No. 2 both from the 2010 vintage. There are also some great value Australian reds with up to 15 years under their belts and reserves of under $20 so if you are looking for some ready to go drinkers there could be something for you in here. There are some lovely dry Rieslings from Alsace and some sweeter ones from Germany. The Rhone has some great wines like the RP98 pointer Delas Les Bessards Hermeitage 1999 and Chapoutier’s Ermitage Le Pavillon 2014. Burgundy has some great producers with Courcel, Arnoux Lachaux, Bruno Clavelier, Rene Engel, Marquis d’Angerville, Dugat Py and Fourier. Bordeaux is always strong for us and December is no different. We have OWC’s of Mouton Rothschild (these are in 6 packs but will be auctioned as 12s). The First Growths are well covered with vintages spanning over 60 years as well as a 100 point wine from Pavie. As you can see there is something for everyone in this auction. As always don’t hesitate in calling for condition reports because we will give our honest opinion about any wine we have on offer.